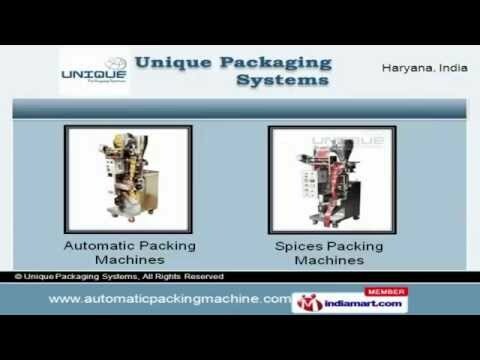 Welcome to Unique Packaging Systems, Manufacturer and Exporter of Packaging Machines. Our Wide range of products and Experienced team of professionals have helped us to establish market across the Indian Subcontinent. Timely delivery, after sales services and customized solution are the factors that help us to stay ahead of our competitors. We offer a wide array of Automatic Pouch and Liquid Packaging Machines. Our Automatic Pouch Packaging Machines are superior in performance. Automatic Liquid Packaging Machines offered by us are highly efficient. Our Spices Packing Machines are best in the industry amongst others. We also provide Bucket Elevators and Screw Conveyors that are cost effective. Along with that we offer Multi Head Packing Systems that are extremely reliable.